TICKETS STILL AVAILABLE - We are aware that some patrons receive an error message when trying to purchase tickets online. Please call the box office at 205.975.2787 to purchase tickets. The box office opens at 12noon on Saturday, February 23. Tickets will also be available at the door. We apologize for any inconvenience. Experience a magical journey into storytelling and music as only the timeless tales of Disney can evoke. 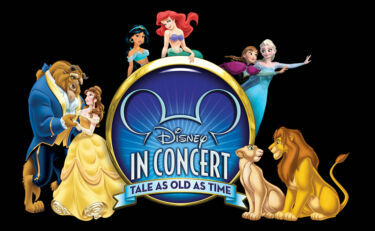 Disney In Concert Tale as Old as Time explores iconic moments, plot twists, and feats of daring heroics from Frozen, Beauty and the Beast, Cinderella, The Little Mermaid, Tangled, The Lion King and many more.